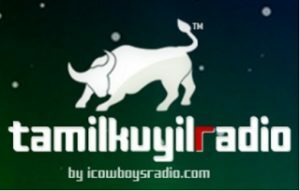 Tamil Kuyil FM Live Online . Listen over 70 tamil fm radio stations online . Enjoy live Streaming tamil music 24 by 7. The TamilKuyil Radio is a free 24/7 internet/online radio that is dedicated to provide high quality tamil audio experience . It broadcasts popular music, dance ,pop, country, folk music, rock, talk, classical and comedy shows . The TamilKuyil radio is a non profit community. It does operate to promote Tamil music and give un-interperted Tamil music in online through internet for both desktop and mobile users.